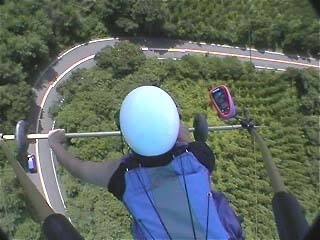 using JVC `pocket` digital video cam which is mounted to control bar of the hang glider. Yahiko national park is located on east Japan. 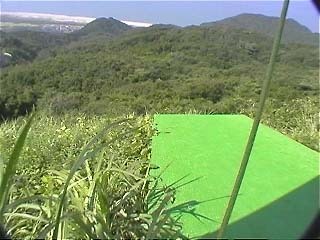 This picture is taken on a take off launcher. The launcher is about 15 feet long ONLY. 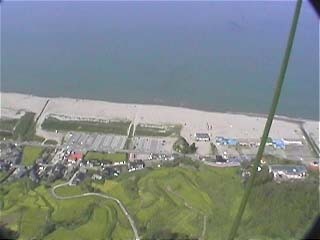 you can see a beach line of Yahiko. Flying over the sea is very nice! 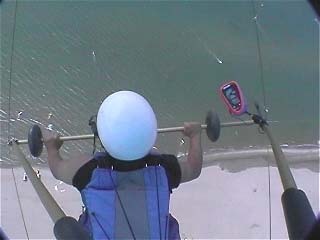 However, we sometimes lost altitude sense over the sea. The altitude is now 600 feet away from the ground. So I have to prepare for the landing. 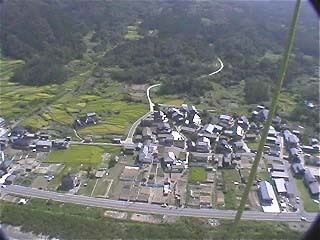 Flying over the hills of Yahiko. 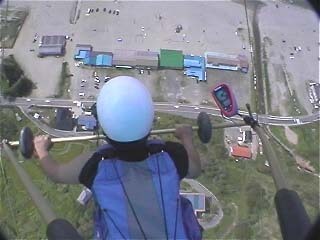 You can see that I am controlling the glider using triangular control bar. Pink edged thing is flight instruments which contains speed meter, altitude meter and VSI. 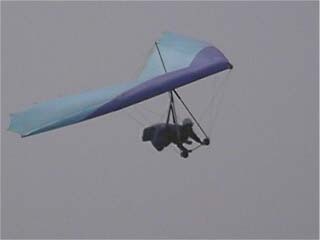 The VSI is most important instrument for the glider. The altitude is now 1000 feet , speed is about 20mile/h. 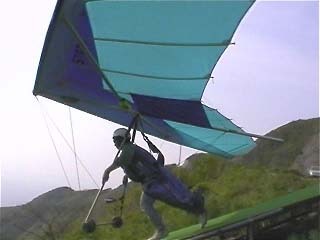 Top speed of my hang glider is 40mph to 45mph, competition glider can accelerate beyond 60-70mph! 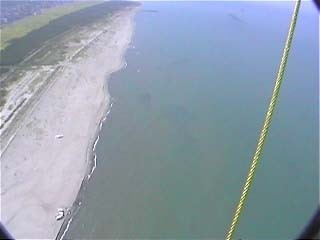 You can see wind-surfing below. Black thing just left side of the helmet is a wireless communicator. 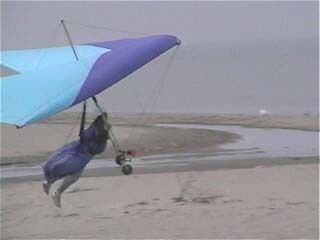 beside of it, We always equip emergency parachute under the bless.